• Made of plastic, brass and stainless steel. • Nozzle angles of 7º and 7º. • Range distance: 11.5 - 15.5 m.
• Flow: 310 - 3520 l/h. • Working pressure: 1.75 - 4.5 bar. • Trajectory angles: 7º and 7º. 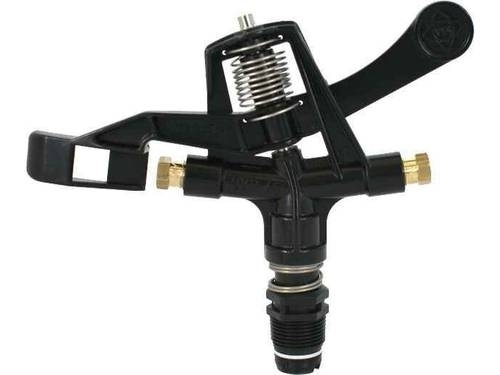 • Maximum stream height: 0,6 m.
• Secondary nozzle similar to the main nozzle. • Connection coupling in plastic or brass.